Teenage leaker Ishan Agarwal, who has been posting scoops on Twitter about various phones in recent months, including the Pixel 3 and OnePlus's most recent phones, says the OnePlus 7 will launch on May 14th. The OnePlus 7 will again come with an in-display fingerprint scanner and will have an impressive screen-to-body ratio. The same source shared OnePlus 7's model numbers last week, claiming that three OnePlus 7 handsets are coming our way, the OnePlus 7, OnePlus 7 Pro, and OnePlus 7 Pro 5G. OnePlus is expected to share more info regarding all that really soon, presuming that the event will take place on May 14 as it was reported. Chinese smartphone maker OnePlus is gearing up for the launch of its next generation flagship smartphone OnePlus 7. If that info is to be believed, the OnePlus 7 Pro will sport extremely thin bezels, its "chin" will be slightly thicker than the rest of its bezels, while a pop-up camera will be a part of the design. The Pro variant is also expected to come with curved display. The company is expected to launch OnePlus 7, OnePlus 7 Pro and a 5G smartphone. Apart from the 48-MP sensor, the rear camera will also feature a wide-angle camera and a depth sensor/TOF sensor. As per various leaks and rumors it is expected that company might launch three variants of the smartphone. 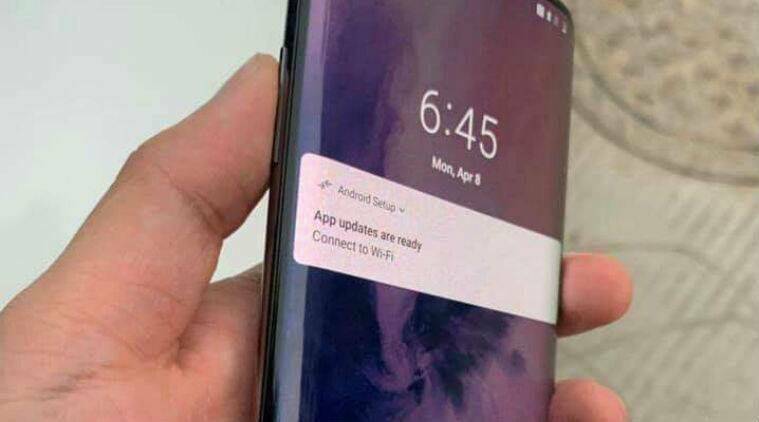 A different leak a few days ago seemed to confirm the new all-screen design for the OnePlus 7 series. As per the leaks, OnePlus 7 will have a complete edge-to-edge display panel, inspired by the Vivo V15 Pro and Oppo F11 Pro.